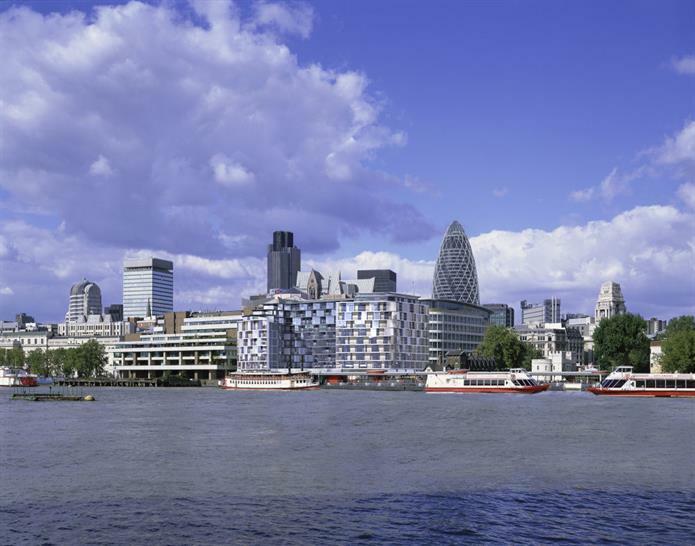 A new nine-storey building has been given planning permission on the north side of The Thames, directly adjacent to the Tower of London. Owned by Cheval Residences, the site will incorporate 97 serviced and 64 private apartments. Following a 10 year planning period, work on the site, which has been derelict for over 20 years, will commence on 14 April 2010. The completed project will be finalised on 30 April 2013. Three Quays’ name originates from the establishment of three quays on the site in the 17th Century - Galley Quay, Chester’s Quay and Brewer’s Quay. Cheval Residences has commissioned 3DReid architects. Located next to a World Heritage Site, Three Quays is currently the only major residential riverside development taking place on the north bank in Zone One. The focus of the design will be to conserve and enhance the character of the natural and historic environment, while giving the area a new lease of life. 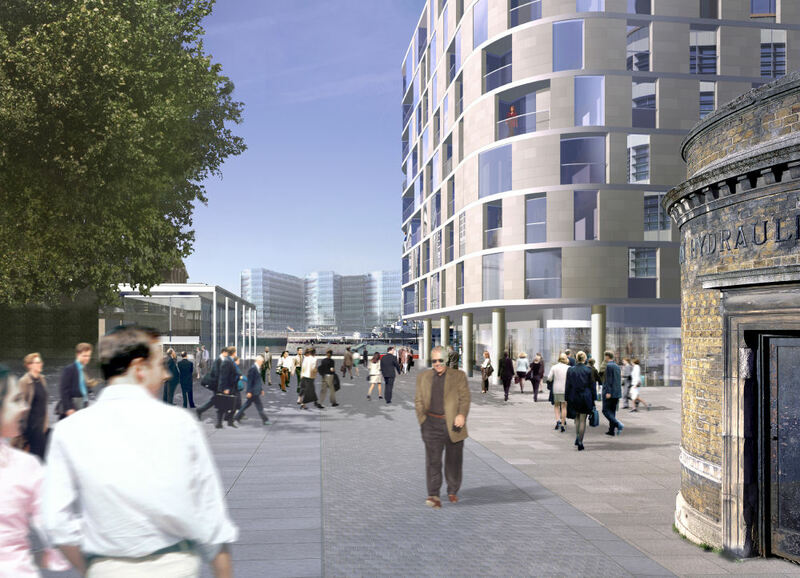 Important points include the introduction of three retail/restaurant spaces within the building, the enhancement of Sugar Quay as a public walkway, and the improvement of Tower Pier and the entrance to the Tower itself. The Three Quays’ façade will complement the materials and layering of the walls and terraces of the Tower of London. The building will be clad in limestone panels with glass bays stepping in and out between them. The inner part of the building will feature slate-coloured, pre-weathered zinc panels. The site will feature luxury one, two and three-bedroom apartments. The interior design will be spearheaded by Forme Design. The renowned water sculptor William Pye, who has created works of art at Salisbury Cathedral and the Royal Academy, has been commissioned to create a prominent water feature. Sustainability will play a vital part in the development, from the materials used to the daily running of the building. 3DReid’s design is scheduled to include HP Solar control glass, balcony floors finished in lpe, (a dense hardwood from sustainable sources), low-voltage halogen lighting and a powder-coated, energy-efficient aluminium ‘brise soleil’ on the top three floors to further improve energy efficiency.